Winter can be hard on fences. Cold and storms can cause your fence to be damaged. 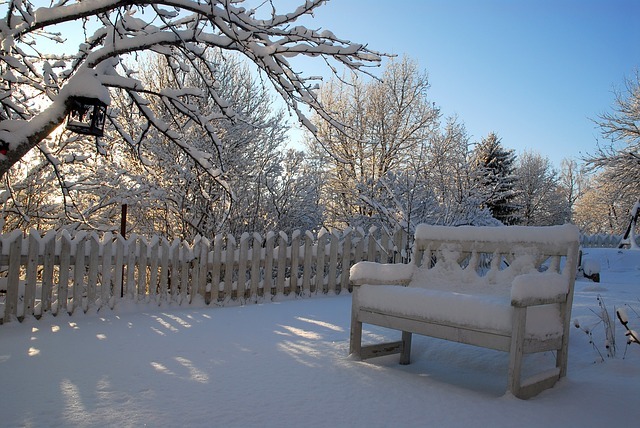 Here are the top 5 tips to protect your fencing from winter’s harsh effects. Trim branches and tree limbs near and above your fence. – Snow and ice can cause tree limbs to break and fall. Prevent them from hitting your fence by trimming and clearing them out of the way. Check for shifting soil. – Winter can mean changes in soil temperature. As moisture from storms saturates the soil it can cause sinkholes and shifting soil. Check your fence posts to be sure they are stable and straight. Contact the professionals at Horner Bros. for repairs as necessary. Keep the weight of snow and ice off your fence. – If you are having your driveway plowed or are shoveling, make sure snow piles are pushed away from your fence. The weight of accumulated snow and ice can cause fencing to bend or crack. Regularly clean ice and snow off your fencing. – The weight of snow and ice can be harsh on fencing. If snow and ice are accumulating on your fencing proactively brush it off. A simple swipe with a broom before you build your snowman will reduce the buildup. Prevent accidents. – Motorists may have difficulty seeing during a storm or during dark winter nights. If your fencing is near or next to a road or driveway, attach reflectors to make it more visible and avoid a vehicle accidentally damaging your investment. Regularly check your fencing for any cracks, holes or structural issues. The sooner you are aware of issues with your fencing the better. Contact us at Horner Bros. for all your fencing needs. Our crews are trained, licensed and reliable. We are locally owned and operated and here to serve you.